Banksy market accelerates following shredding stunt. Has the art market reached a stage of end-game nihilism? Kenny Schachter on NY’s $2 billion auctions. 5 key trends from New York’s $2 billion auction week. The biggest winner of auction week and 12 other takeaways from New York’s $2 billion sales. The highs and lows of New York ‘gigaweek’. Rembrandt painting featuring artist’s ‘fingerprints’ to go on sale in London. Why the Christie’s and Sotheby’s duopoly is impregnable. Sotheby’s Germany chief Philipp von Württemberg resigns. How this photojournalist gets close to California’s devastating wildfires. Among destruction brought by California fires, famous western town lays in ruins. Phyllida Barlow discusses her exhibition ‘tilt’ at Hauser & Wirth New York. A Picasso stolen in a major heist 6 years ago was found buried in a Romanian Forest. Notorious forger Wolfgang Beltracchi on ethics, the art market and how to make a great fake. How Mark Fisher turned punk writing on pop culture into an infectious critique of capitalism. RETNA being investigated by the LAPD for vandalizing a gallery that declined to include his work in its show. KRINK reveals new hand-pressurized sprayer. Couple donates $40 million for MoMA’s renovation and expansion. How will Amazon’s new headquarters affect the Queens art scene? King of controversy Damien Hirst unveils new set of sculptures in Doha. Austrian company behind Louvre Abu Dhabi dome is insolvent after non-payment. The tortured 136-year history of building Gaudí’s Sagrada Família. An art-covered stretch of the Berlin wall gains protection from encroaching real estate developers. Revisiting Britain’s response to the Nazi “degenerate art” show. Jocelyn Hobbie’s hypnotic portraits of women dazzle the eye with color and pattern. The new breed of artist exploring society’s digital consciousness. Tomoo Gokita to curate new SHOP Taka Ishii Gallery. 7 female Impressionists every art history lover should know. #MeToo whistleblower Rose McGowan says she is now focusing on her other major passion. Betty Tompkins gives art history a #MeToo overhaul. The four social classes of the art world. Survey shows extent of class divide in creative industries. Jim Carrey ‘is definitely an artist,’ Jerry Saltz says in a freewheeling conversation. The craft breweries tapping artists to turn labels into works of art. What did Gauguin say about Van Gogh behind his back? A new book reveals the raw details. Smoking pipe, razor and revolver removed from Van Gogh sculpture in London’s Brixton. Amsterdam show to explore Van Gogh’s influence on Hockney. The fate of Leonardo’s ‘lost’ Salvator Mundi. This early Rembrandt perfectly captures the anxiety of facing the blank canvas. This week, artist studios in Australia, California, the Netherlands, New York, and West Virginia. How to get started drawing with charcoal. How to talk to kids about art. Categories: Contemporary Art, Features, Overtime, Street & Urban Art. 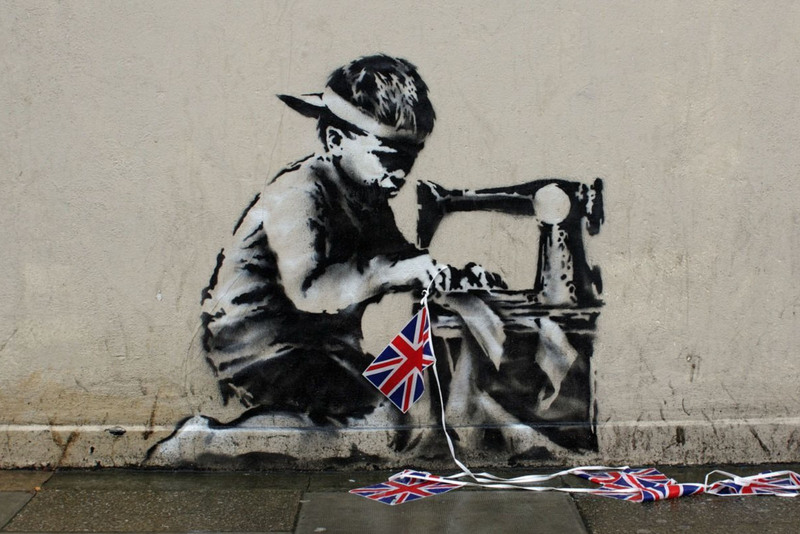 Tags: Banksy, Contemporary Art, Features, Overtime, Street & Urban Art.